This article is 1985 days old. If you live or will be traveling through Essex this Friday and Saturday, be sure to have pocket change ready. Firefighters with Essex Fire and Rescue Service and volunteers from the Knights of Columbus will be stationed at key locations throughout the region handing out newspapers and collecting donations for this year’s charitable campaign. Founded in 2005 under the leadership of the late Bob Pulleyblank, the Essex Region Goodfellows raise and provide funds to local food banks for the sole purpose of providing food to people in need. Since 2005, the organization has conducted 8 annual newspaper campaigns in the lead-up to the holidays and raised over $325,000 for local food banks. This year’s campaign is the ninth. The Town of Essex and its surrounding communities are currently served by four food banks – Essex Area Food Bank, Essex Salvation Army Food Bank, Harrow St. Vincent de Paul Food Bank and McGregor St. Vincent de Paul Food Bank. Working in conjunction with these charitable organizations, the Goodfellows assist in covering the costs of food baskets distributed over the holidays in the Oldcastle, Maidstone, McGregor, Gesto, Harrow and Essex areas. 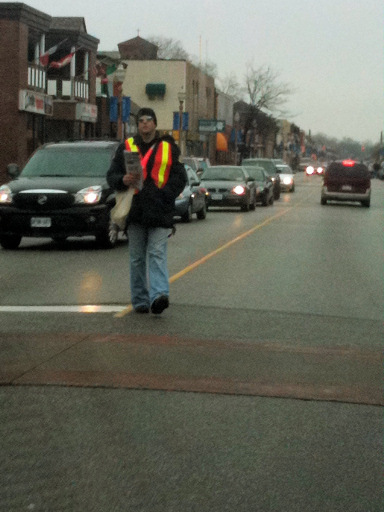 All of the proceeds from the annual newspaper campaign remain in the community.